by Edward F. Sylvia, M.T.S. foreword by Ian J. Thompson, Ph.D. Proving God is guaranteed to create controversy and energetic conversation. Forget what both scientists and the clergy have told you about the ultimate reality. 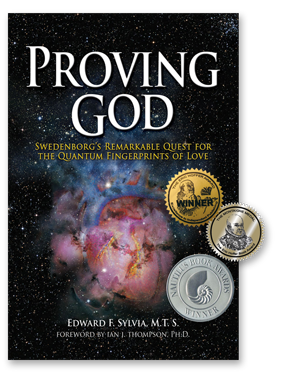 This extraordinary book shows you how scientists have misinterpreted the laws of the physical universe and how theologians have misinterpreted the revealed wisdom of God’s Holy Word. Unknown to most scholars, Holy Scripture is a multi-dimensional document containing the patterning principles for all the laws of the universe. Available now on Amazon or ask for it at your local bookstore.